There are two steering mechanism generally prevalent with regards to ground vehicles. Differential (or skid) steering and Ackermann steering mechanism. In any case, one of the greatest issues with a differential steering is that it squanders energy by sliding the wheels over the ground. The Ackermann steering, regularly found in autos, enables the wheels to turn about a similar turning focus. The wheels don’t slip along the side amid a turn; hence, no energy is squandered while turning. 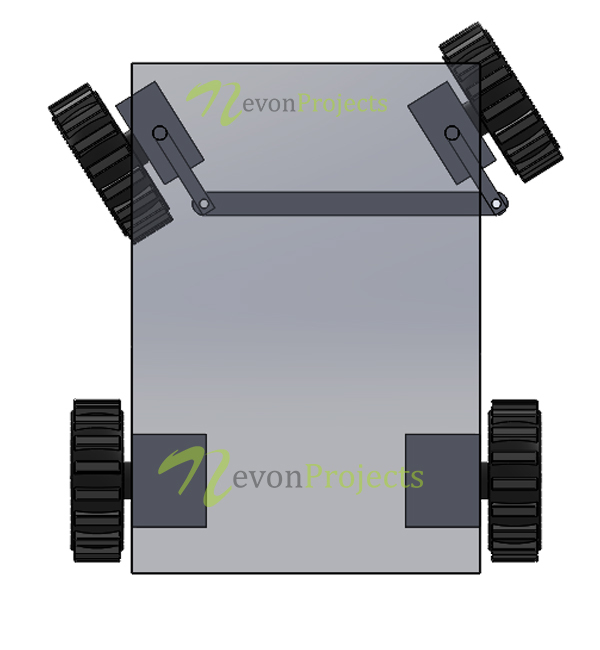 In this project, robot is designed utilizing Ackermann steering mechanism in this mini robotic vehicle project.